President Ulysses Grant served two terms in office. His administration was marked by corruption. The president himself was not linked directly to any of the incidents. But he was friends with dishonest members of the cabinet and Congress. This week in our series, Jack Weitzel and Tony Riggs tell how Grant's problems affected the Republican Party in the presidential election of eighteen seventy-six. JACK WEITZEL: The American people were very disappointed with President Grant. He was the military hero of the Civil War. He had led the Union army of the North to victory over the Confederate army of the South. His popularity dropped, however, during his presidency. Grant was not an effective political leader. Nor was he able to control the men around him. The American people also were worried about the nation's economic situation. A serious depression had begun during Grant's second term. Many people were out of work. They blamed the ruling Republican Party. TONY RIGGS: The state and congressional elections of eighteen seventy-four were an important turning point. Republicans were shocked by the results. For the first time in eighteen years, the Democratic Party won control of the House of Representatives. They won one hundred sixty-nine seats. The Republicans won one hundred nine. Democrats also won control of twenty-three of the thirty-five state governments. These included several northern states, where people were tired of Republican rule. JACK WEITZEL: Important changes also were made in the South. Democrats won control of southern state governments from radical Republicans. One of these states was Mississippi. White Democrats there began organizing groups called White Leagues. These groups wanted to prevent blacks from voting for radical Republicans. They started riots, in which many blacks were killed. They also used economic power against blacks. These efforts succeeded. Most blacks were too afraid to vote. The Democrats took control of both the Mississippi legislature and the governor's office. Similar actions, with similar results, took place in other southern states. TONY RIGGS: As Grant's second term came to an end, he began to talk about the possibility of another four years in the White House. Republican politicians were firmly opposed. They blamed Grant for the party's defeats in state and congressional elections. Grant had to give up any hope of a third term. Congressman James Blaine seemed to have the best chance of winning the Republican presidential nomination in eighteen seventy-six. Blaine had been Speaker of the House of Representatives when the Republicans controlled Congress. He was powerful, and he had many supporters. Some Republican leaders, however, questioned his honesty. Blaine fought this criticism with an emotional speech in Congress. JACK WEITZEL: When the Republican Party convention opened in Cincinnati, Ohio, Blaine was the leading candidate for the presidential nomination. He expected to win the first day. There was a wild demonstration of support when his name was put before the convention. But before the voting could begin, the lights went out. Some delegates believed Blaine's opponents were responsible. These opponents worked all night to get other delegates to change their support from Blaine to another candidate. When the delegates voted the next morning, Blaine did not have enough votes to win the nomination. TONY RIGGS: However, after six ballots, Blaine appeared ready to win. To stop him, his opponents needed to unite behind another candidate. One of these candidates was Rutherford Hayes, the governor of Ohio. Hayes had fewer enemies than the other candidates. So he became the compromise candidate for delegates hoping to stop Blaine. On the seventh ballot of the convention, Rutherford Hayes captured the Republican nomination. JACK WEITZEL: The Democratic Party met in St. Louis, Missouri. Delegates nominated Samuel Tilden, the governor of New York. 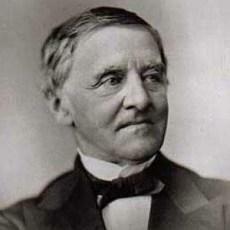 Tilden had led the fight to end dishonesty in government in New York state. He had ousted a group called the Tweed Ring, which controlled New York City politics for years. Democrats said he was the man to end dishonesty in government in Washington. Republicans campaigned by denouncing the Democratic Party. They called it the party of southern rebellion and treason. Instead, they said, vote for the Republican Party, the party that had saved the Union. Democrats campaigned by attacking Republican dishonesty. They blamed Republicans for the nation's economic problems. And they promised better times for everyone if their candidate was elected. TONY RIGGS: The presidential election of eighteen seventy-six was very close. By midnight of Election Day, the results seemed to show that Democrat Samuel Tilden was the winner. Republican Rutherford Hayes went to bed believing he had lost. However, the Republicans quickly saw that the electoral votes of three southern states could decide the winner. In the American presidential system, whoever wins the most popular votes in a state usually gets all the electoral votes of that state. In eighteen seventy-six, the electoral votes of three states -- Florida, Louisiana and South Carolina -- were enough to give the White House to one candidate or the other. JACK WEITZEL: Each party claimed victory in these three states. Each accused the other of stealing votes and counting ballots unfairly. Finally, the two parties agreed to form an electoral committee to decide who had won the disputed votes. The committee was supposed to include seven Republicans, seven Democrats, and one Independent. But before it could meet, the Independent member resigned. A Republican took his place. The Republicans had a majority. TONY RIGGS: The committee first debated the disputed votes of Florida. After much discussion, the eight Republicans on the committee voted to accept the votes of Florida's Republican electors. They rejected a proposal to investigate the way the votes were counted in the state. They said there was not enough time for a full investigation. The same thing happened with the disputed votes of Louisiana and South Carolina. The Republicans on the committee voted to count the Republican electors. The Democrats voted to count the democratic electors. In each case, the Republicans won, by a vote of eight to seven. JACK WEITZEL: As a result, Rutherford Hayes gained the electoral votes of all three states. This gave him enough to win the election. Democrats were furious. Democrats in many states began organizing party militia groups. They said they would fight, if necessary, to prevent the Republicans from stealing the presidency. The situation seemed very tense and dangerous. Many feared the start of another civil war. Negotiations finally provided a peaceful solution. TONY RIGGS: Representatives of the two parties met secretly to work out a compromise. 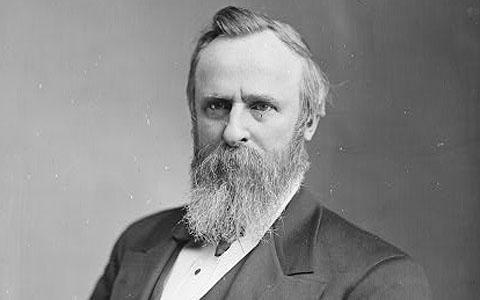 The Democrats agreed to permit Republican Rutherford Hayes to be sworn-in as President. In return, Hayes agreed to end federal support of radical Republican governments in the south. He promised to name southerners to his cabinet and other important jobs. And he said he would provide more federal aid for schools and railroads in the south. As part of the agreement, Hayes promised not to act aggressively to support the civil rights of black southerners. JACK WEITZEL: Hayes' opponent, Democrat Samuel Tilden, did not oppose the agreement. Tilden was an old man. His health was poor. He agreed that four years of Rutherford Hayes would be better than four years of civil war. So it was that Rutherford Hayes became the nineteenth president of the United States. He would surprise a lot of people after he reached the White House. That will be our story next week. BARBARA KLEIN: Our program was written by Frank Beardsley. The narrators were Jack Weitzel and Tony Riggs. Our programs can be found online with transcripts, MP3s, podcasts and historical images at www.unsv.com. You can also follow us on Twitter at VOA Learning English. Join us again next week for THE MAKING OF A NATION -- an American history series in VOA Special English.